The DuraGreen Pallet Pack All-in-One can be conveniently shipped as a collapsed single unit. The DuraGreen Pallet Pack from RPP Containers has been a favorite of shipping and warehousing operations since the product’s inception in 2011. The lightweight, 60 lb., reusable container, consisting of three interlocking and nestable components – plastic pallet, sleeve, and plastic top – is durable enough to stand up to tough material handling tasks and engineered for high efficiency shipping and warehouse storage. 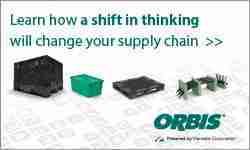 The popular DuraGreen Pallet Pack now comes in a new version designed as a self-contained unit. The Pallet Pack All-in-One provides the same durability, cost efficiency, and ease of use as the original Pallet Pack, but with the convenience of always having the three components at hand: The collapsible sleeve folds onto the pallet, while the top locks onto the base with the sleeve nesting safely inside. 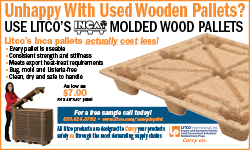 The new Pallet Pack All-in-One can be conveniently shipped as a collapsed single unit, or multiple units can be securely stacked together for easy transport. RPP Containers, Delivering the Best in Bulk™, is a leading manufacturer and stocking distributor of reusable plastic bulk containers. DuraGreen, the company’s premium brand of bulk containers is one of the fastest growing container brands in North America. 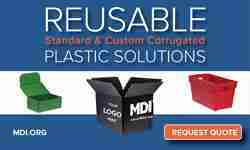 To learn more, visit www.rppcontainers.com or call 800-945-8304.